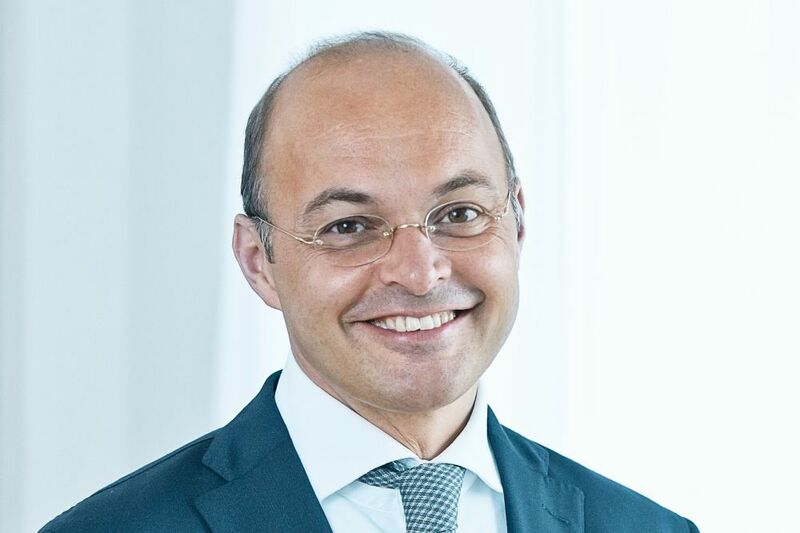 Evotec CEO Werner Lanthaler, M.D., Ph.D.
Evotec said it will join Sanofi in partnering with academic institutions to translate their research into new small molecule drugs across multiple unspecified therapeutic areas—the fourth collaboration by the companies. The value of the latest collaboration was not disclosed, though Evotec and Sanofi did say it will run for three years. During that time, the companies plan to launch Evotec’s latest Biomedical Research, Innovation & Development Generation Efficiency (BRIDGE) collaboration, called LAB031. In the latest collaboration, Evotec said, the companies will enter into research collaborations with academic institutions focused on early-stage translational projects addressing indications in unspecified disease areas with a high unmet medical need. Evotec has committed to applying its drug discovery technologies to the projects of LAB031. Sanofi retains the option to assume development responsibility for each project, based on achieving milestones. The LAB031 collaboration comes four months after Sanofi agreed to transfer its infectious disease unit, and most of its research portfolio and initiatives, to Evotec for more than €60 million ($69 million), in a deal that Evotec said would transform it into a leading developer of anti-infective treatments. And in 2015, Evotec disclosed that Sanofi agreed to pay it up to €250 million ($288 million) toward a five-year, minimum-guaranteed strategic alliance focused on developing multiple products, in return for Evotec acquiring Sanofi's scientific operations in Toulouse, a site Sanofi tried to shut down in 2012. “This BRIDGE announced today is another strategic expansion of Evotec’s relationship with Sanofi. Supporting academic initiatives globally through BRIDGEs is designed to enable Evotec to validate translational ideas more efficiently,” Evotec CEO Werner Lanthaler, M.D., Ph.D., said in a statement. Earlier this year, Evotec created its first BRIDGE in the U.S., called LAB591, by partnering with the Fred Hutchinson Cancer Research Center and investor Arix Bioscience to accelerate development of new cancer and infectious disease drugs based on research at the Seattle institution. The value of that five-year partnership was not disclosed. LAB150—Evotec is partnering with Toronto’s MaRS Innovation to give Canadian academic institutions and teaching hospitals access to Evotec’s infrastructure and drug discovery expertise, and combine it with drug discovery projects from MaRS Innovation’s 15 affiliated hospitals and universities. In January 2017, LAB150 spun out Fibrocor Therapeutics, a fibrotic disease drug developer. LAB282—Evotec has joined with the University of Oxford, its research commercialization company Oxford University Innovation, and IP investment company Oxford Sciences Innovation (OSI), to translate basic research from Oxford into new therapeutics, funded by an OSI-led £13 million ($17.3 million) fund. BRIDGE is part of Evotec’s “EVT Innovate” business segment, focused on investing in and developing the company’s proprietary assets—including early-stage discovery programs and more advanced drug candidates. Evotec develops those programs internally and through collaborations in return for the company receiving upfront payments, ongoing research payments and milestone and royalty payments. According to its website, Evotec’s “pipeline of product opportunities” for potential partners includes three programs being developed with Sanofi: EVT801, a preclinical oncology candidate; various metabolic/diabetes programs in discovery phases, being developed through a potentially €300 million-plus ($346 million-plus) TargetBCD partnership; and TargetImmuniT, a discovery-phase cancer immunotherapy that Evotec and Apeiron Biologics are developing with Sanofi as part of an €200 million ($230.6 million) collaboration launched in 2015.